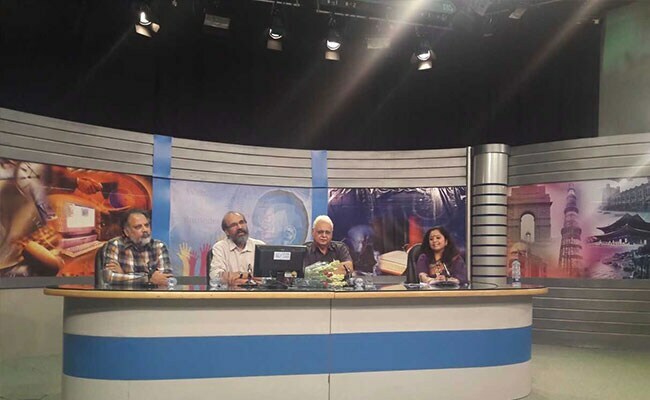 The Gyandarshan channel of IGNOU was launched through webcasting along with the IGNOU EMPC page on Facebook. New Delhi: The Indira Gandhi National Open University (IGNOU) took two major steps today for imparting knowledge through ICT and social media World over. The Gyandarshan channel of IGNOU was launched through webcasting along with the IGNOU EMPC page on Facebook. This will make the IGNOU programmes available on the mobile phones too. The Gyandarshan programmes can be accessed at www.ignouonline.ac.in/gyandarshan. While launching the webcast, Prof. Ravindra Kumar, Vice Chancellor, IGNOU described it as a major step forward in implementing the education through electronic media. "We are digital and open university now. There is no distance between us and our learners," he added. "We will use this platform as a promotional tool for our country's cultural awareness and empowerment on a variety of themes on issues and challenges related to societal development, cultural heritage, environment etc," Prof. Kapil Kumar, Director, Electronic Media Production Centre (EMPC), IGNOU, said on what kind of programmes would get telecast. "This channel will also serve the Indian Diasporas world over, not only to promote Indian culture but also enlightening them with contemporary achievements of India. Similarly, the EMPC FB page will be providing regular updates on Indian education and will be a major source of feedback from the learners from all over the world," he added. This facility will be of extreme use to our Armed forces who can continue with their studies while guarding the borders of the country . Mr Kumar further stated that it's the armed forces that save our democracy and freedoms and IGNOU is duty bound to facilitate their educational development. These initiatives from the EMPC will also enable the various study centres of IGNOU in West Asia and African countries to further enhance the learning processes of the foreign students.The Vice Chancellor on this occasion, also pointed out that IGNOU is in the process of opening many more foreign centres and is exploring the possibilities for partner institutions.